"Jamie DeHay’s set design is broad in scope. 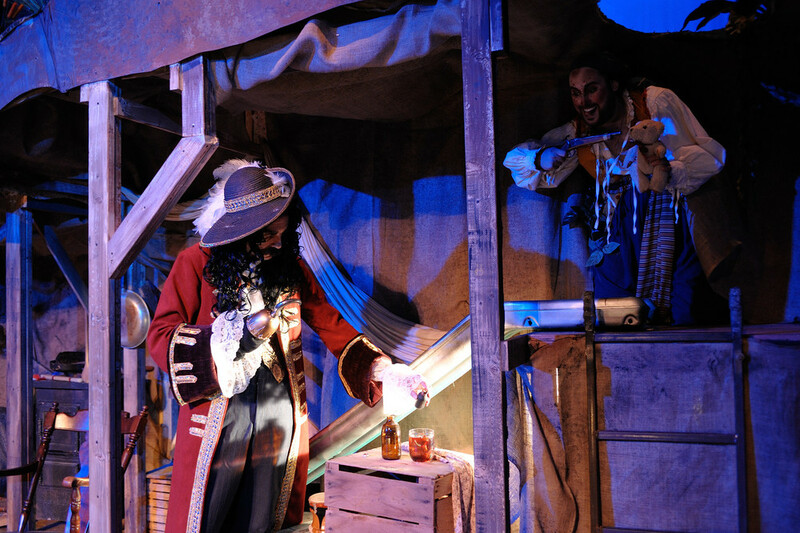 The play moves from the nursery to Neverland exteriors, the Lost Boys house and a pirate ship. Each scene gets its own set piece that is detailed and large. The nursery is large and has tall moving windows for Peter and the Darling children to fly in and out of. Dresser drawers move as Tinkerbell looks for a shadow and the beds are strong enough to dance upon. 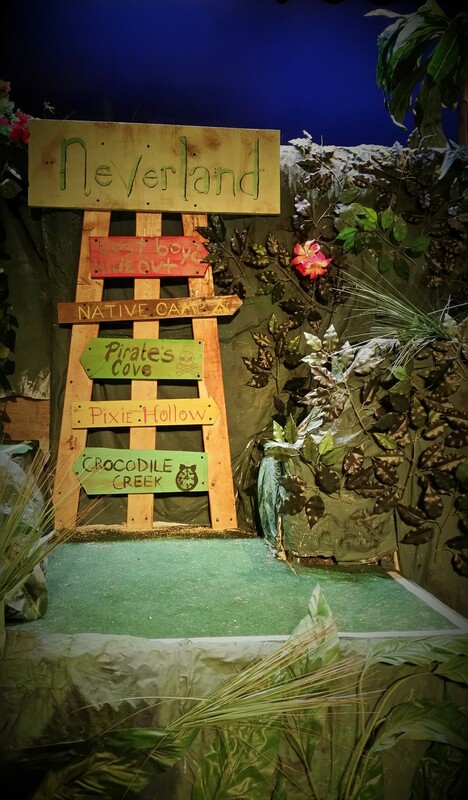 Later, when they arrive in Neverland, the set is filled with greenery, mushrooms that pop open, doors to enter the Lost Boys’ lair and everything needed to set the scene and even build a house around Wendy that fits in with the rest of the scenery. The lost boys home is filled with nooks crannies, ladders and slides. The pirate ship has two stories with steps that make for great sword fighting. All of these set pieces glide in and out quickly to make for set changes that happen in the space of a song. While the musical is two hours and 40 minutes long (with two intermissions), it is never the set changes that slow things down. 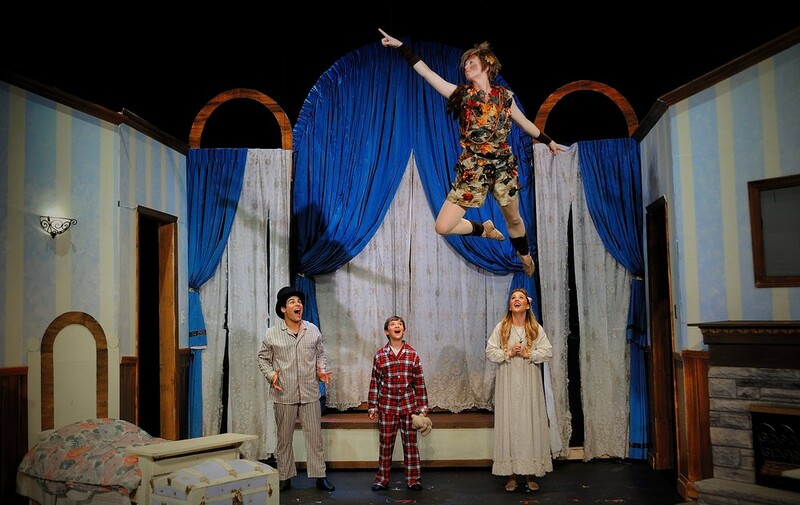 In fact, the play never seems to slow down at all, it is fast paced and filled with energy." 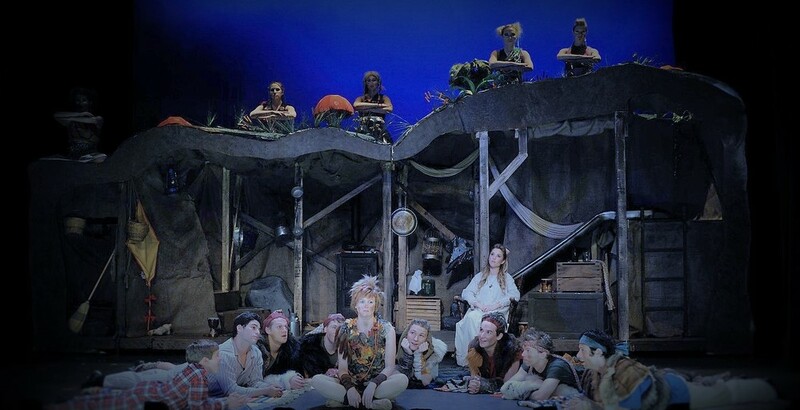 "Jamie DeHay’s sets are full of detail, especially Neverland, where color, depth and childlike ingenuity meet."